Rates stopped rising at 2.808%. 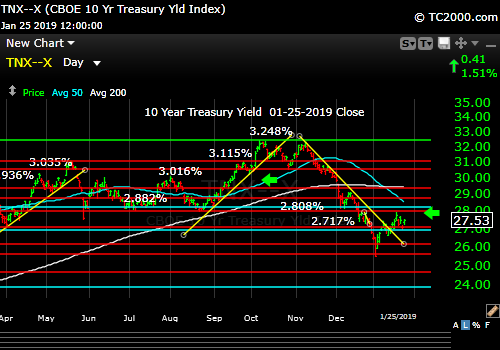 Market timing the 10 Year U.S. Treasury Yield (TNX, IEF, TLT). Rates back to falling from rising again?